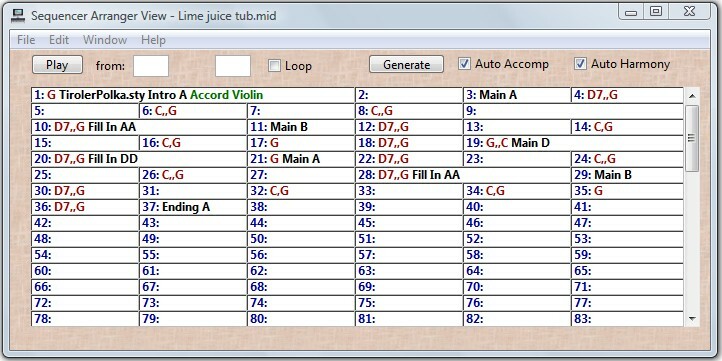 One Man Band reads and writes standard MIDI files that can come from and go to any other sequencer or DAW or Aranger keyboard. There are 6 different views available for working with these files from different perspectives. The Main/Recorder view shows an overview of the 16 channels with control knobs for each channel. For convenience a virtual midi keyboard is added that can be operated with the mouse or computer keyboard, it also shows the played notes while playing a sequence. Here is where you record tracks. 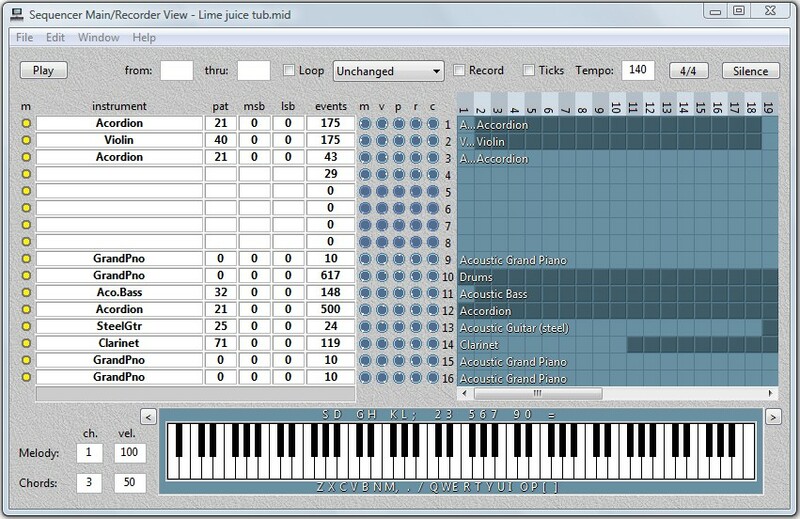 The Arranger view shows the styles, variations, chords and multivoices defined in the sequence. Here is were you edit your auto-accompaniment and auto-harmony arrangements. 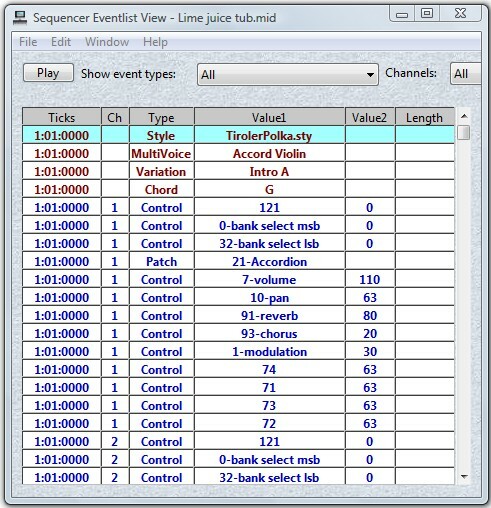 The Eventlist view shows all the details like notes, controllers, patches. The Piano Roll is a well known format for viewing notes. In the Staff view you can select a channel or show all channels in parallel. 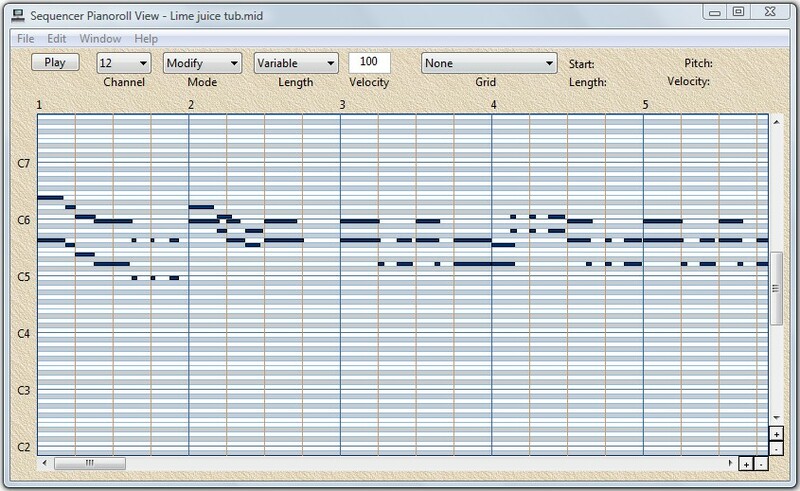 You can print the MIDI file in staff. 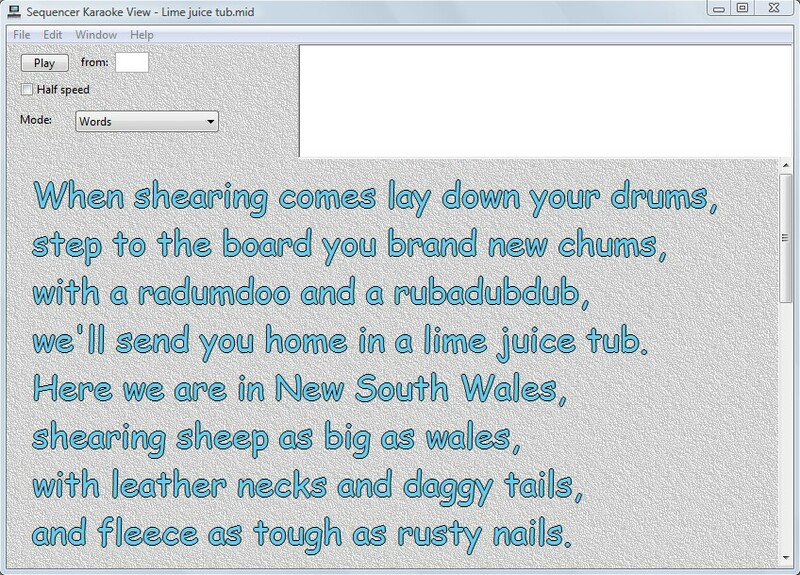 The Karaoke view lets you add karaoke lyrics to the MIDI file that can be played both in the Karaoke window, the Live window (from a preset) and all other MIDI karaoke players. A MIDI file that has been recorded "adlib" without a metronome or previous recorded track will not go in pace with the MIDI bar/beat/ticks that are recorded with each event. You can not add auto-accompaniment to such a file, you can not print the staff and other sequencer operations will also be difficult or impossible on such a file. However you can convert the MIDI file to synchronize with the MIDI bar/beat/ticks without changing the tempo variations as they are heard. To do this temporary add notes on a channel that mark the start of each bar as heard in the MIDI file (which is different from the bars recorded in the MIDI file). After that use the edit action "Process bar triggers". The MIDI file will get corrected bar/beat/ticks. Tempo events will be added to maintain the original tempo variations as they were played. - Basspatch variety, some bars will be played with a different bass instrument. - Pitch variety, some notes will be played an octave higher or lower. - Velocity variety, some notes will have a different velocity. 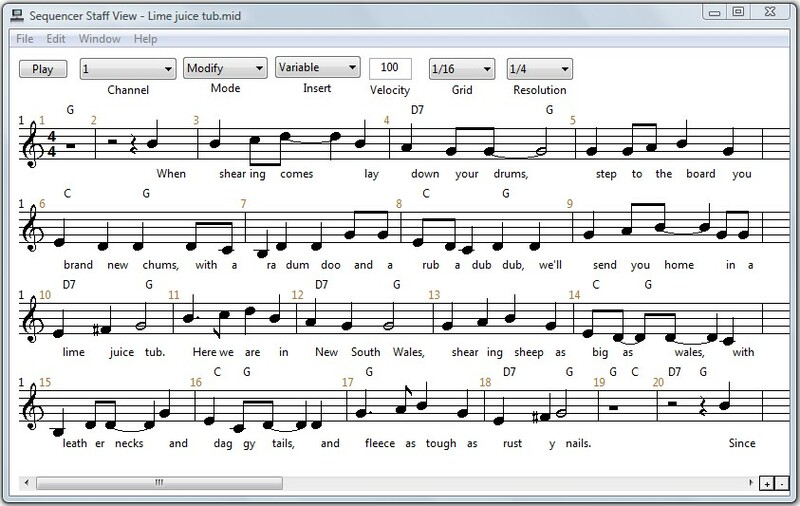 - Note start variety, some notes that are not on a bar or beat will be slided. - Note length variety, some notes will have a different length. When you have a lot of MIDI files that were made for a synthesizer that you no longer have in your possession then these files can be edited to sound better on your new synth. This is done by changing patches, controllers and note velocity. This is a process called tweaking. To do this note by note, patch by patch and file by file is a lengthy operation. With the edit action "Tweak" all this can be done for a folder full of MIDI files in one batch operation. You can also tweak styles in batch with this function. Back to the One Man Band main page.